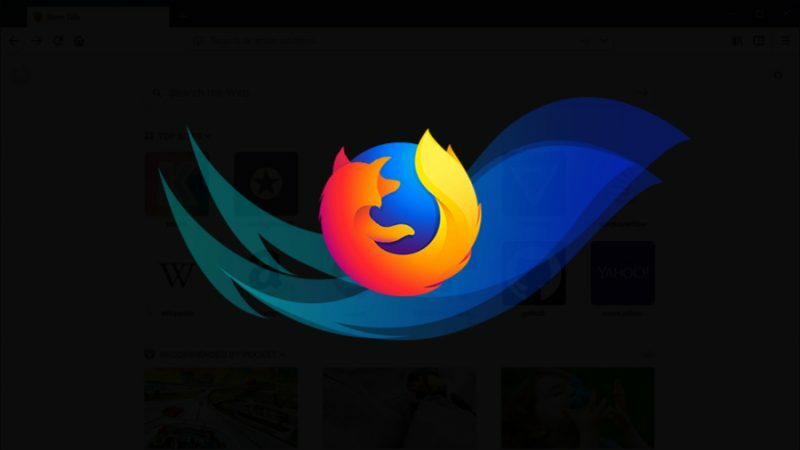 What that means is Firefox automatically switches to the twilight theme whenever the the macOS Dark Mode is active, making for a more uniform desktop application interface without requiring action on the user's part. Also listed in this release's changelog: Firefox Home (default new tabs) can now display up to four rows of top sites, Pocket stories, and highlights, while a "Reopen in Container" tab menu option appears for users with Containers that lets them choose to reopen a tab in a different container. Firefox now has 300 million active users, according to Mozilla's weekly user activity report. If you're already a Firefox user, you should receive an automatic upgrade after restarting the browser. For everyone else, Firefox 62 is available for macOS as a free download directly from the Mozilla website. Still use Safari on my Mac, but recently changed from Chrome to Firefox when using Windows. It really has improved so much! Firefox truly has improved. And it’s replaced Chrome completely for me. I use Safari on my Mac as my secondary browser due to the great interplay between my Mac and my Windows machines when logged into Firefox. I can’t see any reason to use Chrome at this point. Firefox is my secondary browser (safari is my first) - it’s nearly back to its glory days. It’s fast and I love the new UI and its overall feeling of speed. I say ‘nearly’ in that it’s still rough around the edges in some aspects. For example, the bookmarking system doesn’t seem to have been touched for a few years and brings up an ancient looking floating window to manage your bookmarks. Mind you, Safari’s bookmarking system seems to date from about 10 years ago. I guess most people just don’t bookmark anymore! I wouldn't be surprised if only a small percentage of people bookmark these days. Years ago it was necessary to keep track of sites you'd found. Now you can find those sites again quickly with a search engine visit. Auto-fill has also largely replaced them. I still bookmark plenty, but I can see it being a dying feature. Safari and Firefox all day everyday. BUT (please tell me its not just me) when streaming videos on firefox it hogs cpu/energy and revs up fan. Never had such issues with Safari. Although i am content with just using safari but unfortunately my work laptop doesn't allow me to sync safari data across devices. Safari is great - I mean really great - at not spinning up the fan. If people use Chrome on the Mac - which is really great AT spinning up the fan - you should stop, right now! Firefox - as you said - is somewhere between the two, really. For me that means that it stays as my second browser on the Mac. Oh yeah sure. I just wish that they’d clean this up so that it ages better. It feels like it was last worked on in the FF6 era. But I suspect in engineering priority, ‘cleaning the bookmarking UI up’ is probably a ‘nice to have/do’ feature!